. . . prescriptions for opioids surged by 270 percent between 2000 and 2012, leading to addictions and a fatal overdose rate that was twice the national average. The American Society for Addiction Medicine reports these startling facts on the opioid epidemic currently sweeping the U.S.
– Drug overdose is the leading cause of accidental death in the US, with 52,404 lethal drug overdoses in 2015. Opioid addiction is driving this epidemic, with 20,101 overdose deaths related to prescription pain relievers, and 12,990 overdose deaths related to heroin in 2015. – From 1999 to 2008, overdose death rates, sales and substance use disorder treatment admissions related to prescription pain relievers increased in parallel. The overdose death rate in 2008 was nearly four times the 1999 rate; sales of prescription pain relievers in 2010 were four times those in 1999; and the substance use disorder treatment admission rate in 2009 was six times the 1999 rate. While evidence provided by the Center for Controlled Disease and Prevention (CDC) suggests that the use prescription opioid painkillers has fallen some 41% since its peak in 2010, some 33,000 Americans died last year from addiction to opioids. The addiction to prescription painkillers like Vicodin (hydrocodone) and Percocet (oxycodone) are rampant in the U.S.
For well over 5 years, Stand for the Troops (“SFTT”) has been reporting on the Department of Veterans Affairs (“the VA”) fascination with potent prescription drugs to treat Veterans with PTSD. Despite the VA’s dismal record in effecting any meaningful change in patient outcomes, a cocktail of prescription drugs (generally opioids) are often the last resort since the VA’s Prolonged Exposure (PE) and Cognitive Processing Therapy (CPT) treatment programs have proved largely unsuccessful. In what continues to be standard SOP, the VA perseveres in treating the symptoms of PTSD without offering any compelling life-changing treatment alternatives. In effect, the VA is tacitly admitting “we don’t have a clue,” while arguing that they are providing the best therapy available and to seek funding for new “clinical” studies that address symptoms and not causes (i.e. cannabis, for instance) of PTSD and TBI. In our research (mostly anecdotal but with those “in the know”), SFTT discovered that many Veterans treated with prescription opioids for PTSD would become violent and often suicidal. In fact, they would often either discard these potent drugs (“flush them down the toilet”) or sell them on the black market to civilians. 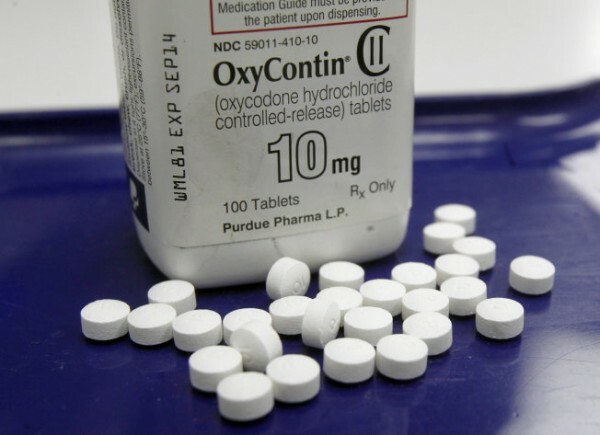 One former Veteran explained that his colleagues would often grind up oxycontin pills into a powder and sell it on the black market for approximately $500 a month. So prevalent was this behavior, that the government forced a large pharmaceutical company to produce oxycontin only in gel. The result: sales at the pharmaceutical company dropped 60% once the black market disappeared. Personally, I think the FDA and the pharmaceutical industry effectively colluded into turning many Veterans and a large percentage of our population into junkies. The Rationale? : The level of addiction in the U.S. and easy access by the public to potent prescription drugs is simply unprecedented if compared to other countries. It is sad to read the daily stories of spouses and loved ones deal with ravages of PTSD. A few days of reading the Facebook page of “Wives of PTSD Vets and Military” will give you some idea of the ravages of the silent wounds of war. Sure, we can continue to medicate these Veterans and military personnel with prescription drugs to deal with the symptoms, but I would far rather see an attempt to reverse the causes of debilitating brain injury rather than mask the symptoms. There are several noninvasive solutions used by other countries. First and foremost is hyperbaric oxygen therapy or HBOT that is widely used by the IDF. For reasons that seem incomprehensible, the DoD claims that there is no scientific evidence to suggest that HBOT is effective. Gosh, there doesn’t seem to be much evidence that suggests that prescription opioids, Prolonged Exposure (PE), and Cognitive Processing Therapy (CPT) are effective either. Yet, the VA continues to push it’s stale and misleading agenda that it is providing our Veterans with the best available treatment programs. Surely, we can do better than “talk the talk.” Let’s look for real solutions. If it can’t be found in the VA, let’s give the private sector an opportunity to help our brave Veterans.